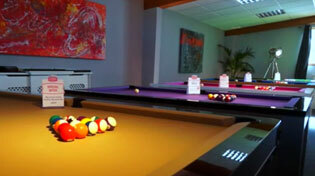 Joy are the world's leading Chinese 8 Ball pool table manufacturer. The entire Joy range is available exclusively from Home Leisure Direct, endorsed by 3 times Masters Winner Gareth Potts. Joy is a Chinese manufacturer of 8 ball pool tables which was established in 1998 and now is the largest billiard enterprise in China. Joy specialise in the manufacture of high grade Chinese Eight Ball tables as well as event organisation using their patented technology such as their slate taper pin connection & their manufacturing process that is unparalleled in the Chinese eight ball pool table production Owning over 3000 top-class billiard clubs, growing on average 500 clubs a year presenting itself as THE biggest billiard company in China. Joy is also the company behind World Chinese Eight Ball Masters which has become the face of Chinese Eightball. Joy is also known for their big lineup of famous billiard players; they have great contracts with players like Gareth Potts, Stephen Hendry as well as having cooperative relationships with Ronnie O’Sullivan and XiaoTing Pan. Calling themselves Joy Stars Agency they are dominating the Chinese 8 Ball Pool Market in China. This is why we are delighted to be Joy’s Exclusive distributor, endorsed by 3 times Masters Winner Gareth Potts. We are starting off with three luxury pool tables designed to the highest quality using the high quality wood and is made by the best craftsmen. All Rasson pool tables come with free delivery and installation. All Rasson tables come with a Aramith Accessory Pack.